Dunder Casino – Christmas Campaign 2017! Festive rewards for players from the United Kingdom! 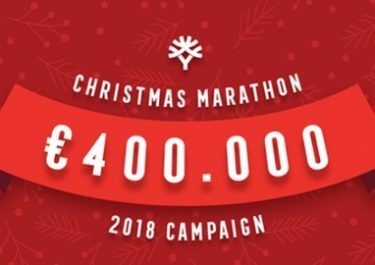 As usual the team at Dunder Casino has been busy preparing original yet very rewarding Christmas campaigns and this year has been no different. Players can look forward to weekly raffles and a New Year’s Prize Draw with awesome prizes such as Rolex and Omega watches, a dream holiday in the Maldives, huge cash prizes and tons of Free Spins, Big Spins and the mother of all, Dunder Spins valued at a massive £10 each. Collect Silver and Gold tickets by completing any or all of the four daily missions. On top of that, players can collect a Christmas gift every day during December! Log in daily to find out. Exclusive for players from the United Kingdom. 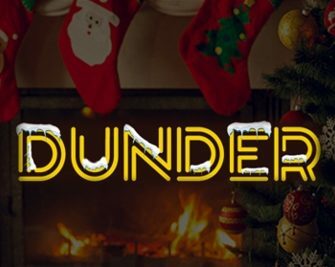 It’s Christmas time at Dunder and they have some amazing prizes lined up during the holidays this year. Daily Challenges, rewards and offers, weekly raffles and a New Year’s Prize Draw with some amazing prizes. Start claiming your presents and collecting tickets today. Players can log-in ever day in December to claim a Christmas Gift such as Free Spins, no deposit needed or on deposit, reload bonuses and more. Wagering requirements are for Free Spins 25x FS winnings and for deposit bonuses 25x deposit + bonus, both within 30 days and subject to the Dunder Casino bonus terms and conditions. 12th December 2017: Make a deposit today to instantly receive a £10 bonus. 13th December 2017: Make a deposit today to instantly receive 50 Free Spins on Finn and the Swirly Spin™. 14th December 2017: Deposit £50 to instantly receive 50 Free Spins on Leprechaun Hills. 15th December 2017: Deposit £30 to instantly receive 50 Free Spins on Rapunzel’s Tower. 16th December 2017: Make a deposit to instantly receive 20 Free Spins on Second Strike. 17th December 2017: Enjoy a 50% deposit match, up to £25, today. Earn up to four Silver tickets per day for completing four daily challenges. Every Monday, Dunder will draw 250 winning tickets from all eligible entries and allocate the prizes in order the tickets are drawn. Winners will be announced and accounts credited every Tuesday. Physical prizes cannot be exchanged for cash. Wagering requirement for Free and Dunder Spins is 25x FS winnings within 30 days, subject to the Dunder Casino bonus terms and conditions. 10th December 2017: Make a deposit | play 250 | 250 | 500 spins on Fruit Shop Christmas Edition. 11th December 2017: Make a deposit | play 250 | 250 | 500 spins on Immortal Romance. 12th December 2017: Make a deposit | play 250 | 250 | 500 spins on Montezuma. 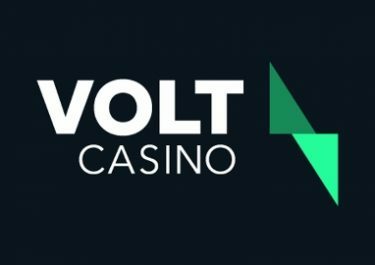 13th December 2017: Make a deposit | play 250 | 250 | 500 spins on Rainbow Jackpots. 14th December 2017: Make a deposit | play 250 | 250 | 500 spins on Leprechaun Hills. 15th December 2017: Make a deposit | play 250 | 250 | 500 spins on Fu Er Dai. 16th December 2017: Make a deposit | play 25 | 25 | 50 spins on Live Roulette. 17th December 2017: Make a deposit | play 250 | 250 | 500 spins on Bonanza. Weekly Raffle Prizes: 1x Omega Speedmaster Professional Moonwatch (Men’s) or Omega Aqua Terra Grey Dial Ladies Watch | 1x £1,000 cash | 1x £500 cash | 7x 25 Dunder Spins, worth £10 each | 15x 200 Free Spins | 75x 100 Free Spins | 150x 50 Free Spins, all on Fairy Gate. Gold tickets are earned at the same time as Silver tickets and will be accumulated throughout the month. On 2nd January, Dunder will randomly draw 1,000 winning tickets and allocate the prizes in order the tickets are drawn. Winners will be announced and accounts credited by 15:00 CET on 2nd January 2018. Physical prizes cannot be exchanged for cash. Wagering requirement for Free, Big and Dunder Spins is 25x FS winnings within 30 days, subject to the Dunder Casino bonus terms and conditions. Main Prize: 1x Rolex Submariner or Rolex Lady Datejust. 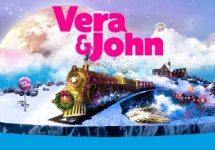 Free Spins Prizes: 5x 25 Dunder Spins, worth £10 each | 15x 50 Big Spins, worth £1 each | 75x 200 Free Spins | 150x 100 Free Spins | 250x 50 Free Spins | 500x 25 Free Spins, all on Wins Of Fortune. The team behind Dunder launched their casino in 2016 after working for more than a decade in the industry and they have chosen the trusted MT SecureTrade Ltd. platform to operate from. Equipped with MGA Malta and UKGC licenses they offer a superb experience on desktop and mobile with 1,000+ games from world class suppliers such as Netent, Betsoft, Big Time Gaming, Elk Studios, Microgaming, NextGen Gaming, NYX Interactive, Play’n GO, Quickspin, Red Tiger Gaming, SG Games, Thunderkick, WMS and Yggdrasil. The Live Casino tables are powered by Evolution Gaming.